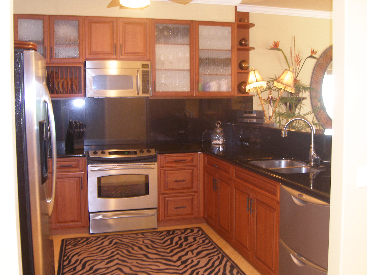 Upgraded/ remodeled condominium in fabulous condition with an ocean view. First floor unit with no steps to climb. 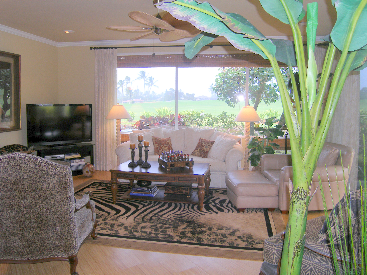 This end unit condominium offers 1456 square feet plus a covered lanai. New upgrades throughout including laminate bamboo flooring in the main living area, crown molding, granite counter tops, upgraded kitchen cabinets and a built-in wine cooler. New bathroom cabinets, counter tops and sinks. The entry invites you into this spacious condominium. A large storage closet and laundry with a stackable washer/dryer are conveniently located off the entry. A roomy kitchen with a counter top bar opens up to the dining/living room with large windows. 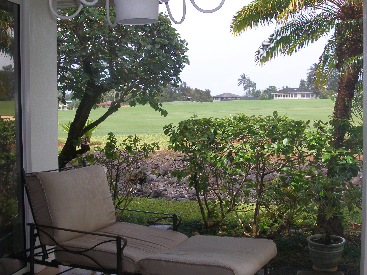 The very private covered lanai is located just off the living room. 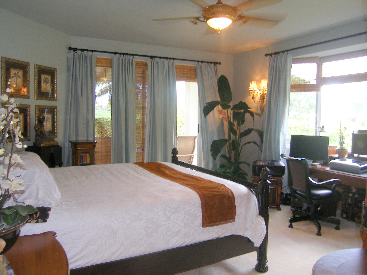 The master bedroom also has sliding doors out to the lanai. A large walk-in closet provides plenty of storage. 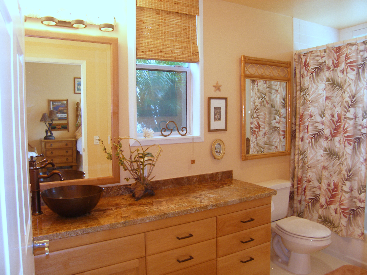 The master bath is adjacent to master suite and includes a separate whirlpool tub/shower and toilet room. 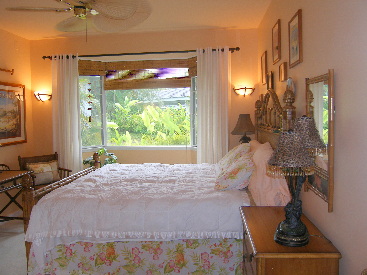 The second bedroom is spacious and has its own full bathroom with a tub/shower and a large closet. Air conditioning. Emmalani Court is a small, quiet community of 42 condominiums and a party room with a full kitchen. Enjoy the beautiful swimming pool and outdoor spa, a full-time resident manager and a covered carport.